Roading construction has a range of hazards given the combination of heavy machinery, light vehicles, workers on foot as well as interaction with the public. Data from the industry highlights that more than 50% of the incidents involving mobile plant are when vehicles are reversing. This indicates managing blindspots when reversing is critical. Rearsense has supplied a range of safety solutions to this industry for many years. These alarms have the distinct advantage of being directional and also not carrying as much as a tonal alarm. 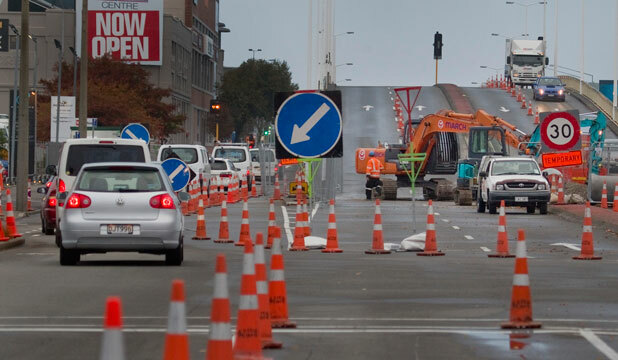 NZTA has made these alarms compulsory of several projects, in order to reduce noise pollution and complaints and recommends them on other sites. The information from NZTA is attached. Some operators have made these alarms compulsory for all their vehicles as a safety requirement. Given that work is done is close proximity to people and other vehicles, reversing radars are a logical, active solution to warn the operator of close hazards. Rearsense reversing radars have been proven to work well in this environment and manage the blind spots on equipment. They are built tough and can withstand harsh weather, dust, mud and other environmental conditions while still operating effectively. These products are suitable for excavators, trucks, rollers and graders with different radars to match the vehicle and the environment it is working in. Again, given the closer proximity to people and other equipment, being able to view the blind spot when reversing is key. If used in conjunction with the reversing radar, once a warning is given, the camera allows the operator to determine the hazard in their blind spot. Rearsense reversing cameras are the highest quality from Korea, built for the tough conditions of a construction environment – regardless of weather, dust and dirt.